With what already sounds like an annual tradition at this time of the year, we are delighted to announce yet another milestone that ZooKeys just reached. 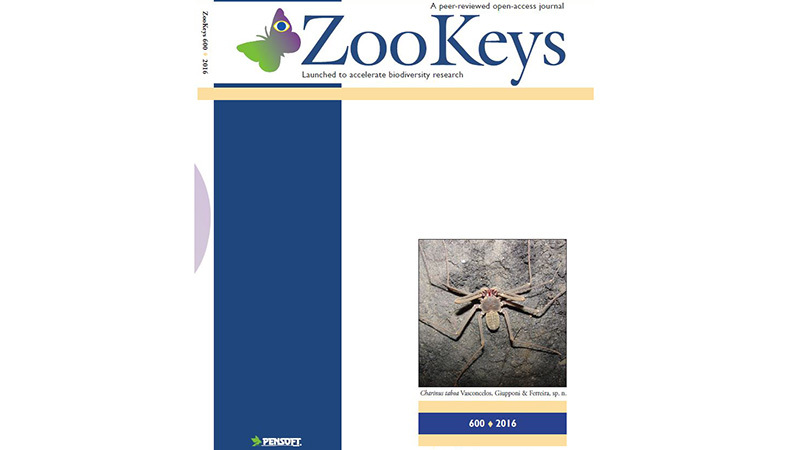 Our 600th issue is now out and we are just as proud with it as we were exactly five years and a month ago, when we printed out our first three-digit issue number on a ZooKeys cover. However, we feel nowhere near getting tired of counting pages, covers and issues, nor do we believe this will ever going to happen. Quite the contrary, every year we take more and more pleasure in adding new achievements next to the name of ZooKeys and Pensoft. Last year was no exception. During the past 13 months, we published a total of 673 articles, including research findings spectacular enough to reach out to not only the zoological fellowship, but to the wide audience from around the world. While our Impact Factor keeps on increasing, according to the figures Thomson Reuters released last week, we are gratified to observe our progressively growing impact on both the scholarly and the popular-science front. Thanks to the discoveries, which found a suiting publication partner in ZooKeys, our authors and us made a lot of big headlines in outlets such as National Geographic, Science, CNN, BBC, Sky News, New York Times, Deutsche Welle, Der Standard, DR, Washington Post, Fox News, Huffington Post, The Guardian, NBC News, and a lot more. We had a bit of everything: record-breakers, species given mystic or splashy names and others bearing nerdy ones. Together, we also gave public voice to serious conservation issues, calling for immediate action. Last June, we introduced you to the Hades centipede, known to be the world’s deepest-dwelling species of its kind. Who knew that the entrance to the Underworld is located in a Croatian cave? Later on, in November, published with us snail species Acmella nana broke the World record for the tiniest land snail. Moreover, this happened only about a month after we published the previous ‘prizewinner’ Angustopila dominikae, and that one was already tiny enough to fit 10 of its shells within the eye of a needle at the very same time! Our pages, which have been and always will be openly available to read for anyone who is online, were also the first to let you know about the existence of the Johnny Cash tarantula, the (Edward) Snowden crayfish, the two daddy longlegs: Smeagol and the ‘Master-of-the-crypt’ Behemoth, the Chewbacca beetle and the Brad Pitt wasp, among many others. About two months ago, graduate student Madhu Chetri spotted the ancient Himalayan woolly wolf in Nepal. The new knowledge about the beautiful and, sadly, Critically Endangered carnivore, which he acquired, will hopefully help in preventing its otherwise imminent extinction. In the meantime, Deutsche Welle (DW) featured our Zorro fish along with the eight-legged Johnny Cash’s namesake in their rank list of the 7 “newcomer” species of the year. While being in the spotlight is definitely a gratifying feeling, we also indulge in our successes achieved far from the eyes of the public, although we are certain that our authors will be just as excited to hear about. Such an accomplishment is our recently sealed partnership with open digital repository Zenodo, who are helping us, along with the rest of the journals, published by Pensoft, to keep our research findings safe and easily accessible by archiving all our articles in both PDF and XML format on the date of publication. However, let’s not forget that nothing of all the above would be what it is without our authors, editors and reviewers, who have always done their best to keep ZooKeys at the World’s top open access academic journals. 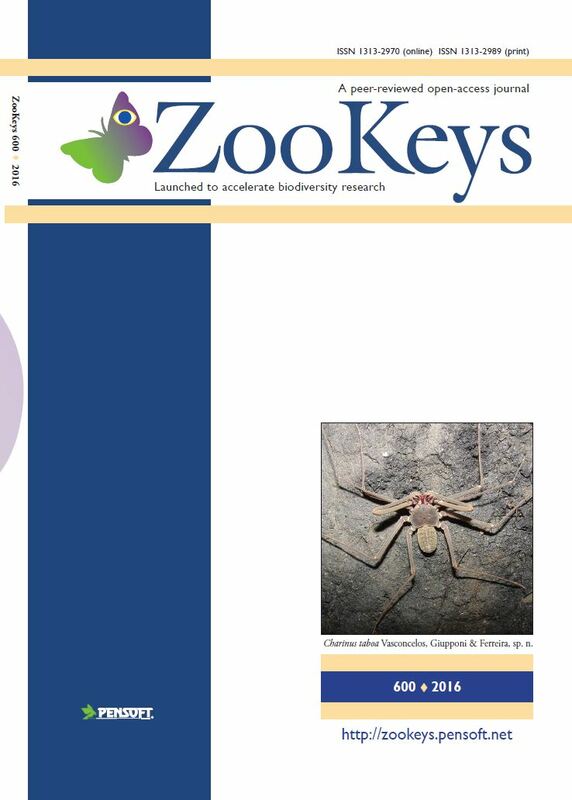 We’d especially like to thank our Most active authors, editors and reviewers for being substantial part of ZooKeys.